Have you always wanted to grow your own succulents? Some varieties have always been in vogue (like aloe, or hen and chicks) while other more unusual species have gained huge popularity today (like living stones). And it’s hard to find a popular news article on the topic of gardening or an Instagram feed that doesn’t feature at least a few of them. 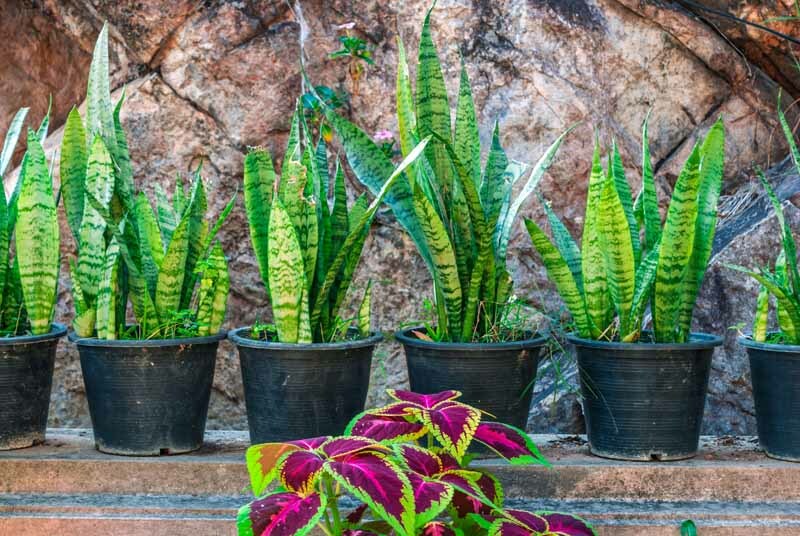 Though all plants have their own unique quirks, meeting their needs doesn’t have to be difficult if you’re well informed. 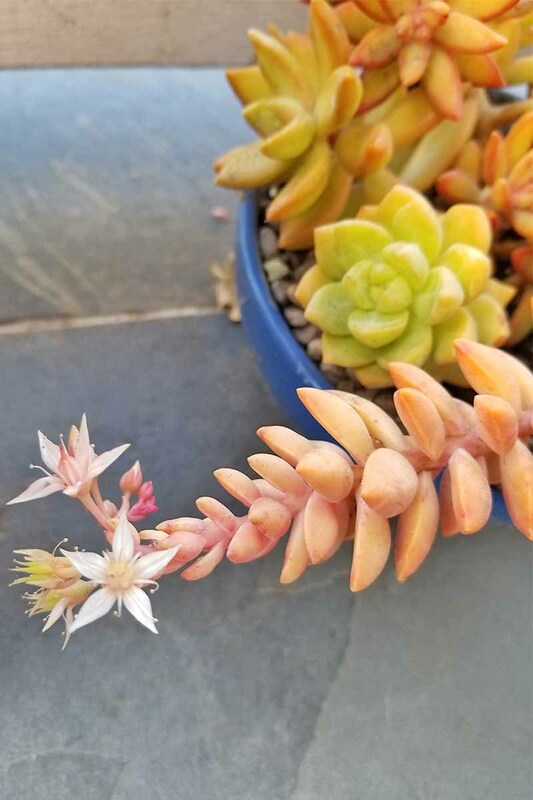 And succulents will reward you with an array of unique colors, shapes, sizes, and textures. With a little luck, you’ll even be able to coax them to bloom. 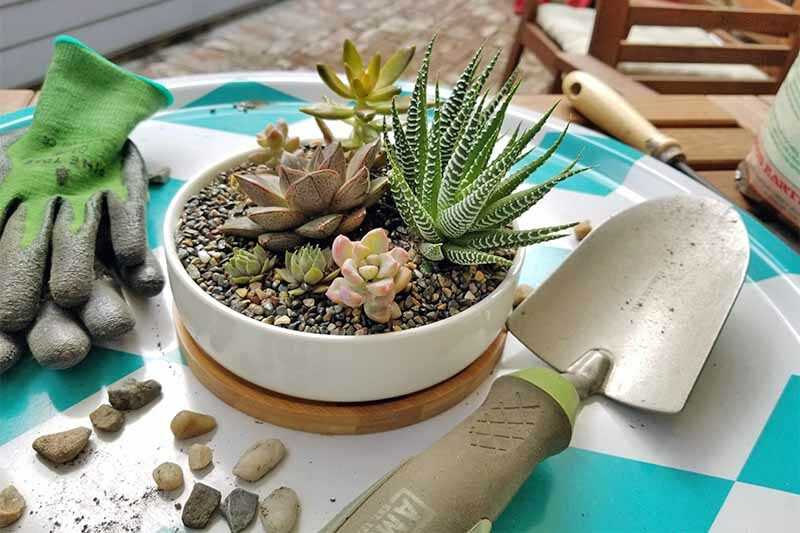 Whether you’re hoping to pot up a few to nurture on a sunny windowsill, or you have a patch of sandy ground in full sun that’s just begging to be filled, the following tips will help you to become the best succulent parent on the block. Need a Dose of Healthy Nutrients? 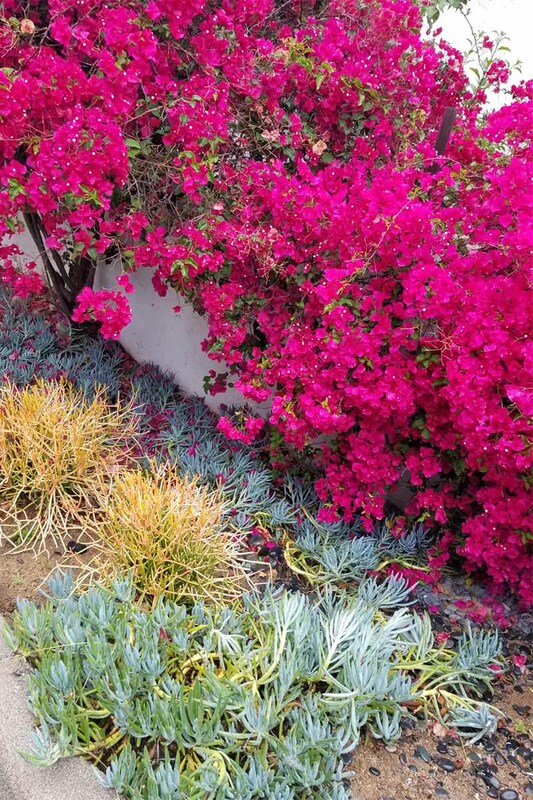 Most succulents are native to hot and dry climates, and their illumination needs are high. For this reason, full sun is a must. 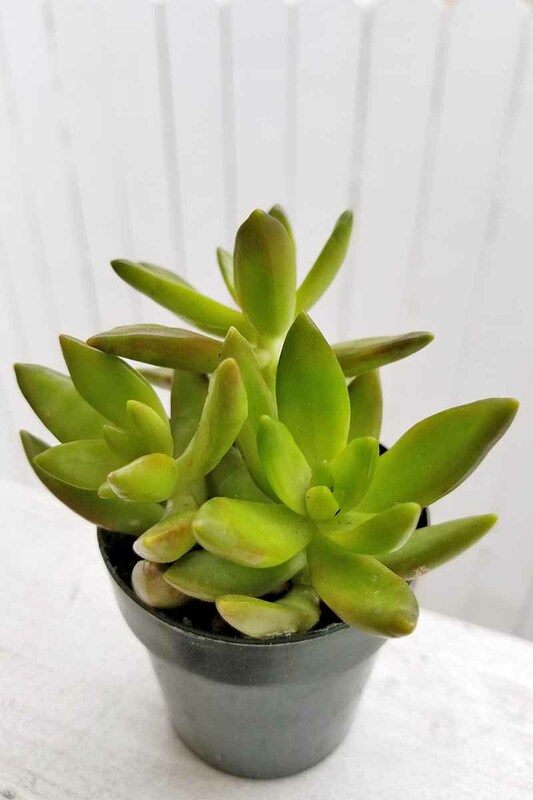 They can do well in a particularly warm and bright window, and moving your outdoor succulents to pots indoors in the winter is recommended in cold climates. But keep in mind that indoor plants won’t typically bloom for you. 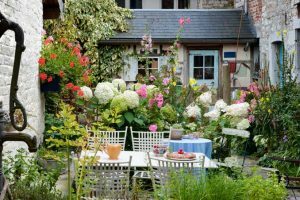 Of course, many gardeners love a challenge, and coaxing flowers to emerge indoors isn’t completely outside the realm of possibility if you’re using grow lights. 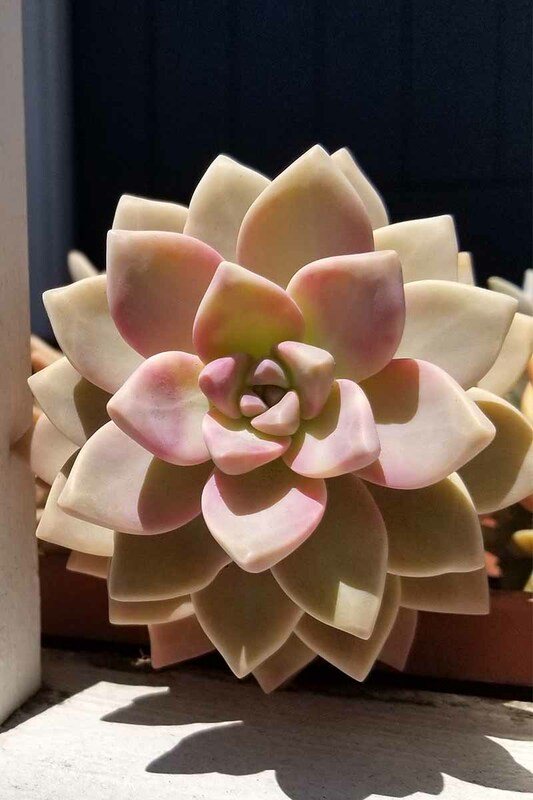 Some succulents can also tolerate a bit of shade, and many that have been grown in dappled sun or partial shade for a time will actually change colors when they’re exposed to bright light. 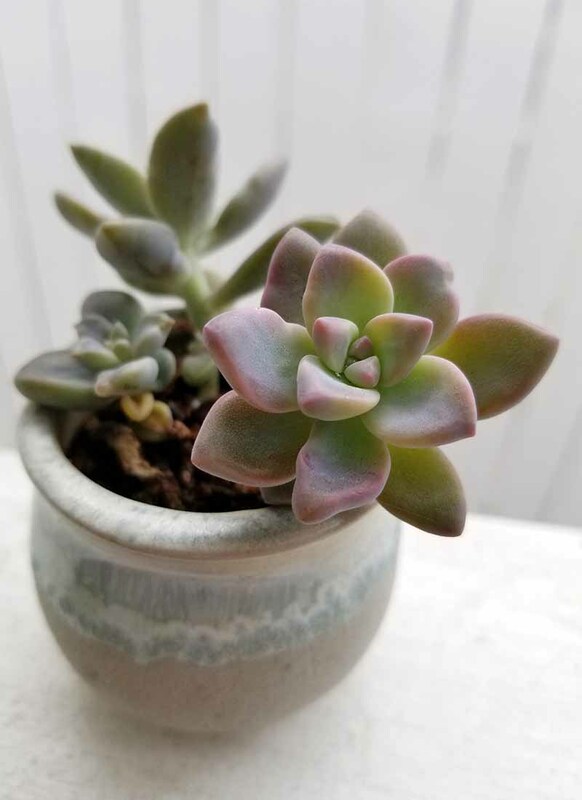 Like a suntan, stressed succulents that receive a lot of light can take on a beautiful “blush” or reddish hue. This may change throughout the year, as the sun shifts and varying levels of water become available. Now, we’re going to need to address irrigation. 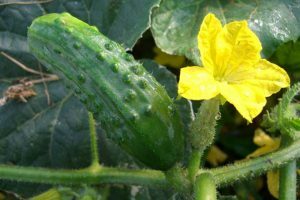 By definition, these are species that require little moisture, and store water in their fleshy leaves and stems. 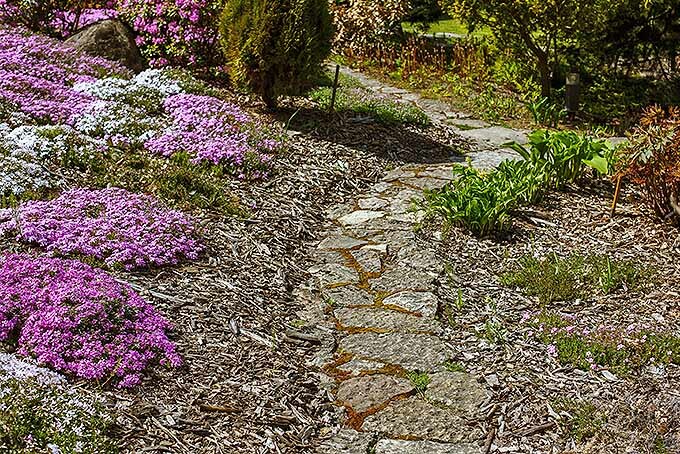 They often feature in “xeriscapes,” or landscapes designed to conserve water. Low moisture requirements and minimal maintenance are hallmarks of growing succulents. Photo by Allison Sidhu. However, little moisture doesn’t mean no moisture. If soil dries out completely, or you notice that leaves are beginning to shrivel, it’s time to water, particularly during periods of growth. During winter dormancy on the other hand, water needs are low. If you accidentally overwater, or experience a period of drenching rain, do your best to drain containers and garden beds to prevent rotting. One indication of excess moisture is a yellowing of leaves. 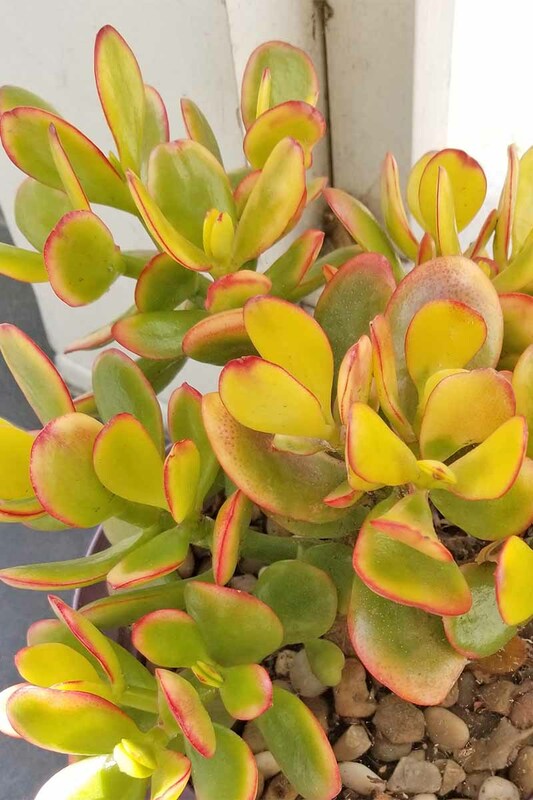 The leaves of this jade plant, Crassula ovata, have yellowed from excess moisture. Photo by Allison Sidhu. For best results, plant in a specialty succulent mix in pots with good drainage, or well-draining sandy soil directly in the ground. Terracotta pots placed on a stand with pebbles added to the bottom before they’re filled with soil are excellent for this, but keep in mind that this material will dry out quickly. 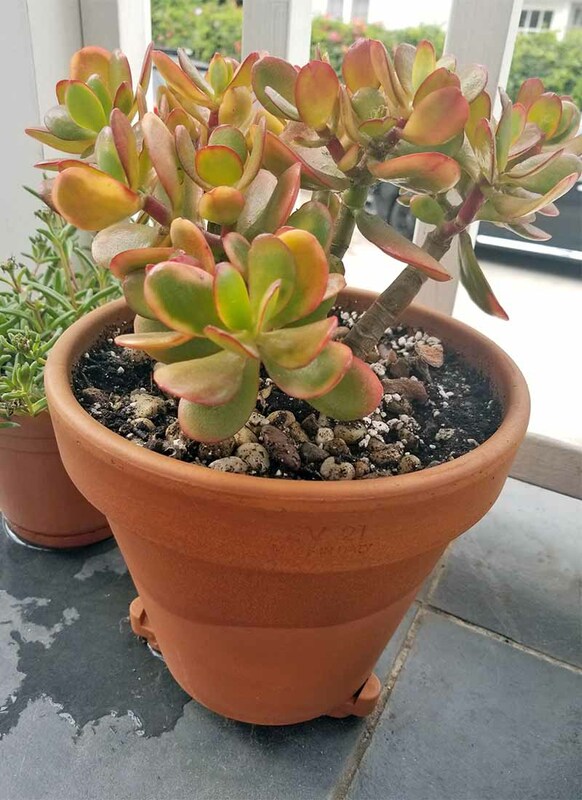 The same plant, after repotting for better drainage (and a bit of time). Photo by Allison Sidhu. There’s no easy rule of thumb as far as watering frequency goes; recommendations to water once or twice a week might seem like a magic fix, but the truth is, many factors play a role – including the size of your plants and the pots or area they’re planted in, the average temperature and humidity, and the time of year. Don’t be afraid to dip your finger a few inches into the dirt to see how well-watered your babies really are, and use a rain gauge outdoors to monitor precipitation. Not all experts agree, but I’m of the opinion that succulents generally don’t need to be supplemented with fertilizer. 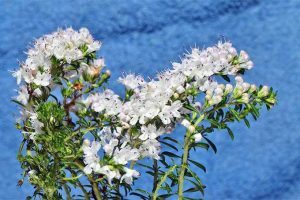 When planted in well-draining fertile soil or a potting mix that is marketed for this type of plant, they’ll do well on their own with little intervention by way of nutritional supplementation. 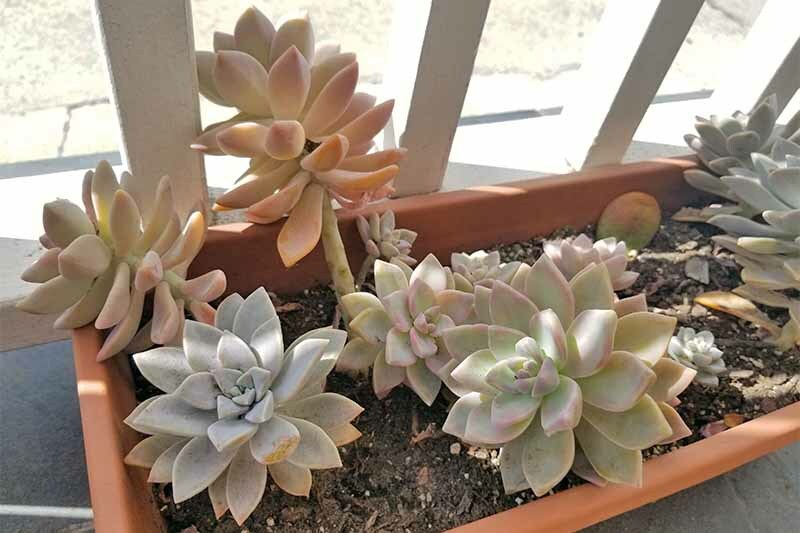 This is the case especially if you’re transferring your succulents from indoor pots to the ground with the return of warm weather each year, or repotting annually in new soil. 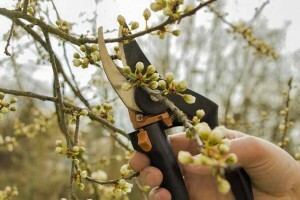 But keep in mind that overwatering, planting in inadequate soil to begin with, or even a healthy period of growth and blooming can deplete soil nutrients more rapidly, and a lack of blooms or failure to thrive in other ways can also serve as indications that some intervention is required. 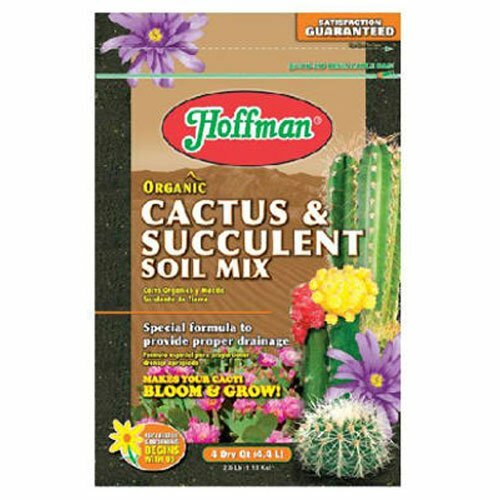 Be sure to use a low-nitrogen, slow-release fertilizer that is recommended for succulent plants. 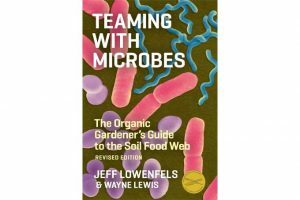 Compost tea is another option favored by many gardeners. 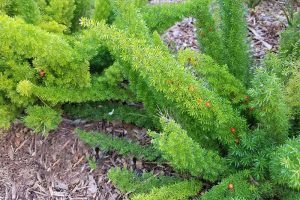 Add either of these to the base of succulents in moist soil, and be sure to avoid the plant itself to prevent leaf burn. 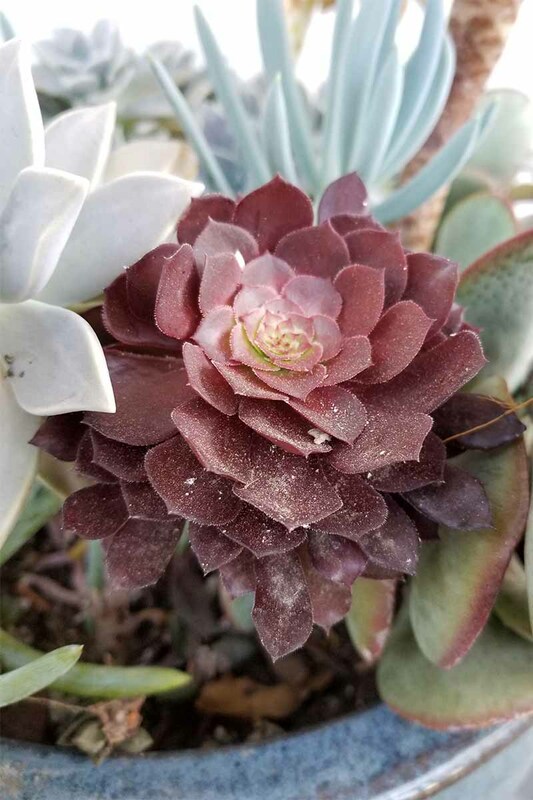 Succulents are also prone to rotting when there is too much nitrogen in the soil or potting mix, so if you choose to amend your potting medium, this is yet another reason to apply a slow-release, low-nitrogen product. Plants in small pots will typically need less than what’s recommended on the label, and dilution with water is recommended. 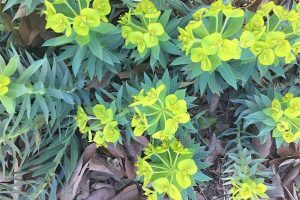 Application of too much fertilizer can encourage leggy growth, and fertilizers should only be applied after new growth appears in the spring and when plants are in an active growth phase, not in the winter when plants go dormant. 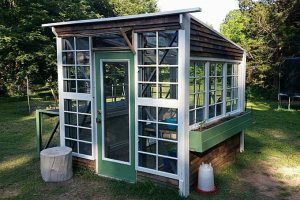 One additional caveat to keep in mind: an indoor environment differs greatly from the conditions that plants experience when grown in a hot and dry climate outdoors. 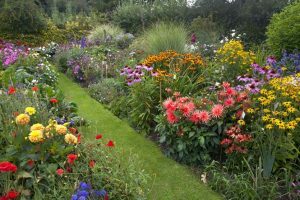 For many plants, dormancy actually occurs during the hottest months of August and September, whereas wet and mild winters might encourage a period of active growth. Keep your location in mind, and be observant of your plants. As you become more familiar with their growth habits and healthy appearance, you’ll become a better judge of what they’re telling you, and better able to meet their needs. Keeping a gardening journal can help you to track ther progress. So far, so good – right? Provide adequate sunlight and good drainage, avoid overwatering and overfertilizing, and you’re on your way to growing a garden full of beautiful succulents! Here’s the good news: That’s pretty much it, in terms of regular care. 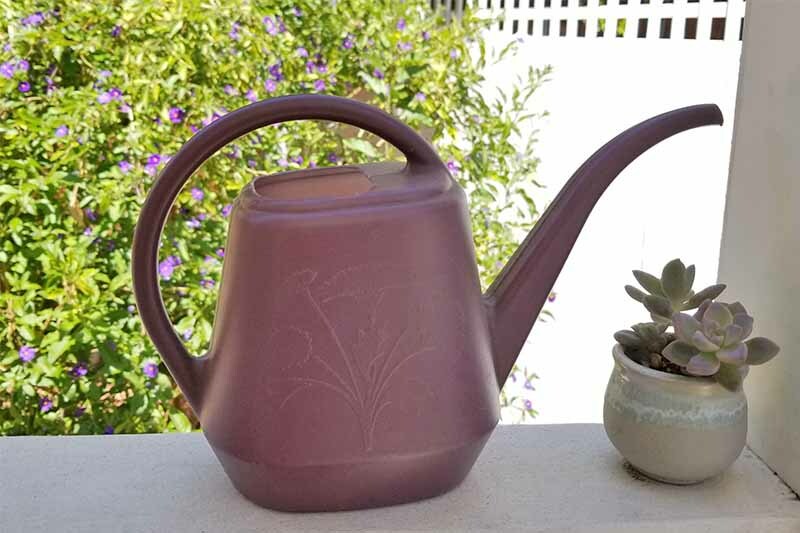 But sometimes, you have a rainy summer and outdoor plants become sodden, or your plant sitter is heavy-handed with the watering can. 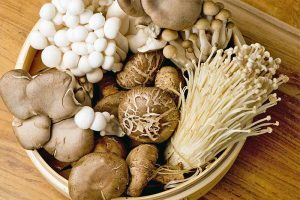 In these cases, excess moisture makes them vulnerable to pests like snails, mealybugs, aphids, and scale, fungal disease, and rot. 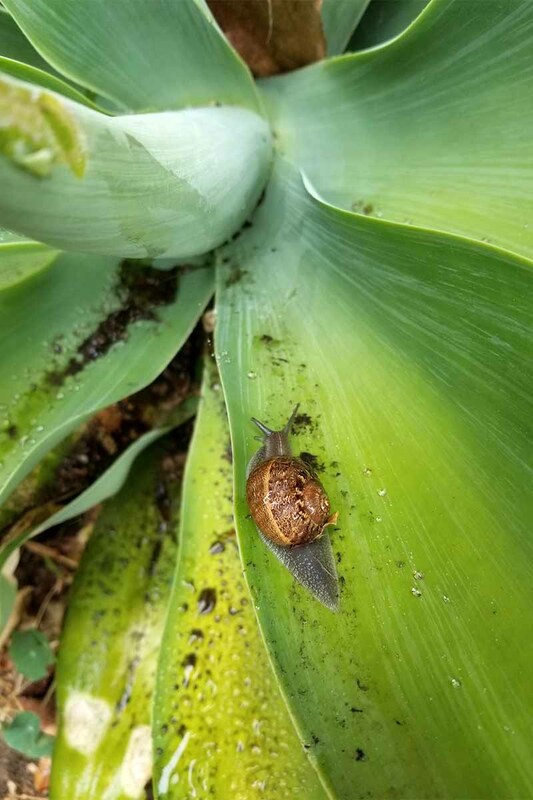 Remove snails by hand at night, or on a cloudy day immediately following a rainstorm, when they’re most active. Yellow leaves saturated with excess moisture are a welcome mat for snails, and a precursor to rotting. Photo by Allison Sidhu. Spray whitish mealybugs and their web-like mess with a strong stream of water, or a solution of half denatured alcohol and half water. Or, remove them with cotton swabs soaked in rubbing alcohol. Aphids are another pest that can be a problem. 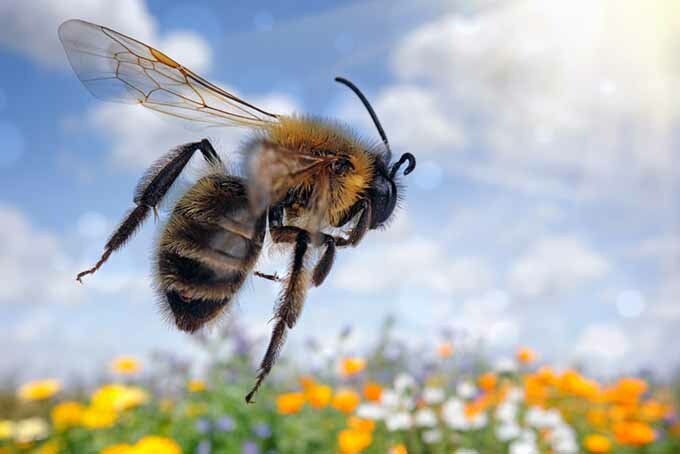 They feed on plant juices and may destroy vulnerable plants, like those that have been overwatered. If you see an infestation, spray them away with a steady stream of water. While some succulents have a waxy film or powdery dusting, the web-like coating on this Aeonium indicates the presence of mealybugs. Photo by Allison Sidhu. 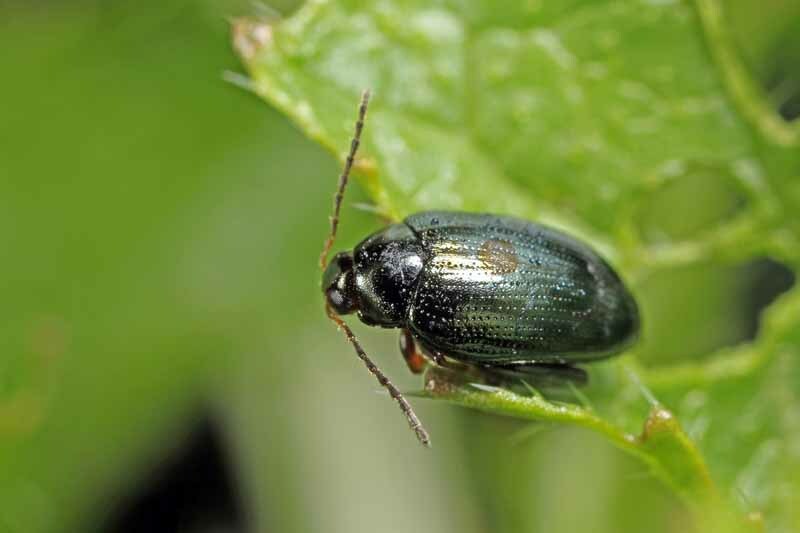 Similarly, insects called scale like to feed on juices, and succulents make quite a feast. They look like brown spots. Destroy soft ones by scratching them off with your fingernail. For harder bugs, gently rub on some denatured alcohol that has been diluted by half with water. Discard leaves that don’t respond to treatment. Other brown spots or patches may be caused by edema, which is swelling from over-watering. 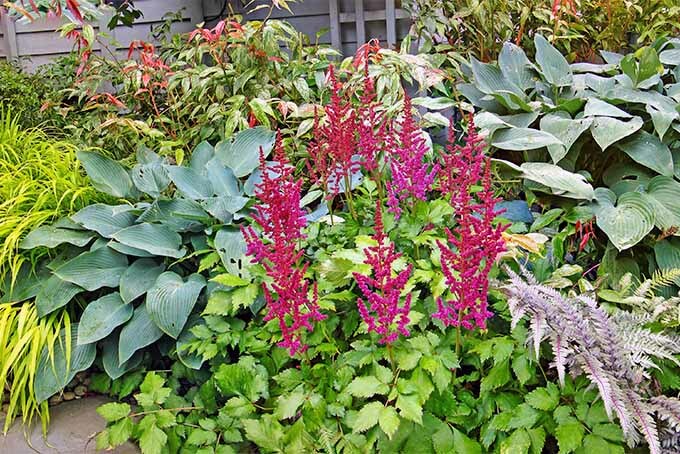 In addition to over-watering, plants may get too much moisture from humid air. So, promote air circulation by spacing potted plants generously, and keeping them out of moist places like laundry areas and bathrooms. This sedum is leggy from being in a north-facing window that lacks adequate sunlight, and is frequently bumped by opening and closing curtains, hence the brown scar. Photo by Nan Schiller. 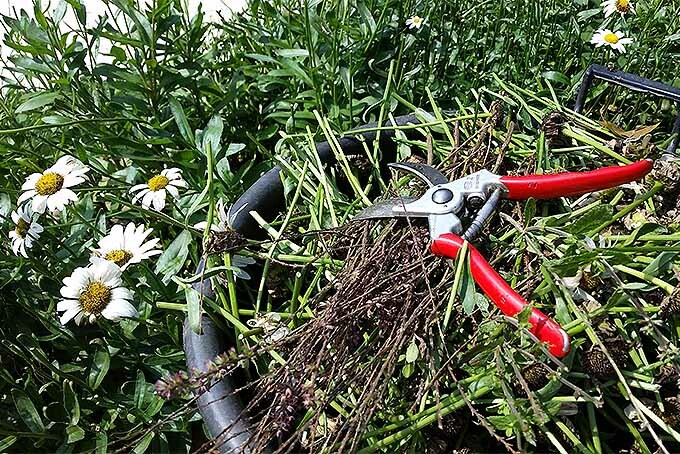 Dried out leaves can be gently removed, and plants that have been severely dehydrated can often be saved at least in part by propagating new ones from whatever healthy portions are left. 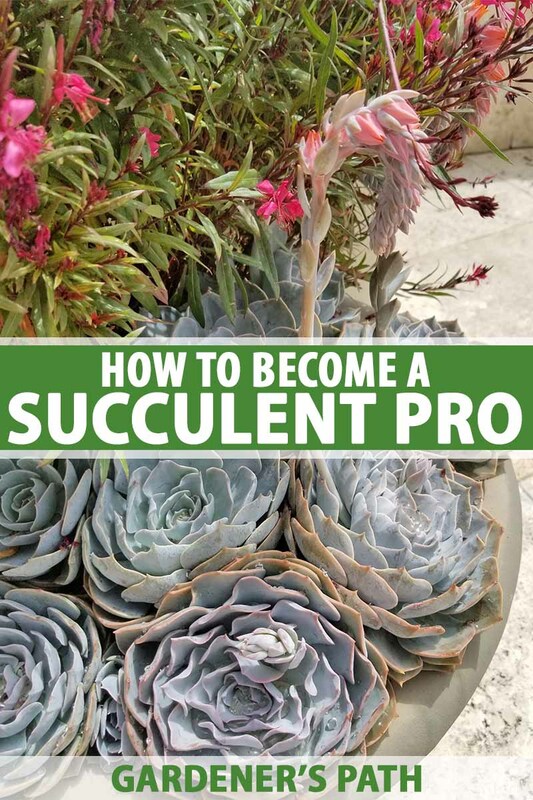 See our guide to succulent propagation for advice. 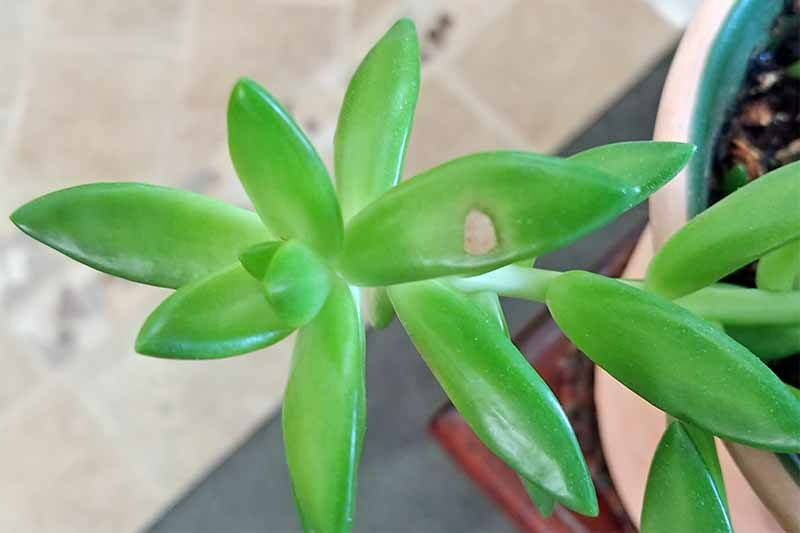 And finally, plants that are handled or bumped frequently may develop blemishes that penetrate the flesh of a leaf or stem, and heal with a scar. Keep any eye on blemished leaves and stems of all types, and treat or discard as needed. 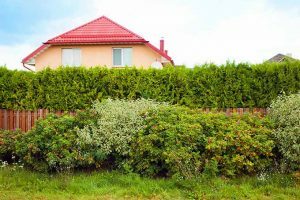 If any type of infestation or blight becomes a regular problem, consider taking a healthy cutting to start a new plant, or discard the plant entirely. Don’t worry if you lose a few on your way to becoming a pro – it’s part of the learning process. For the most part, you should have good luck and carefree times tending your succulents. They look gorgeous as standalone plants where a dramatic statement is desired, and grouped in striking color, texture, and shape mixtures. 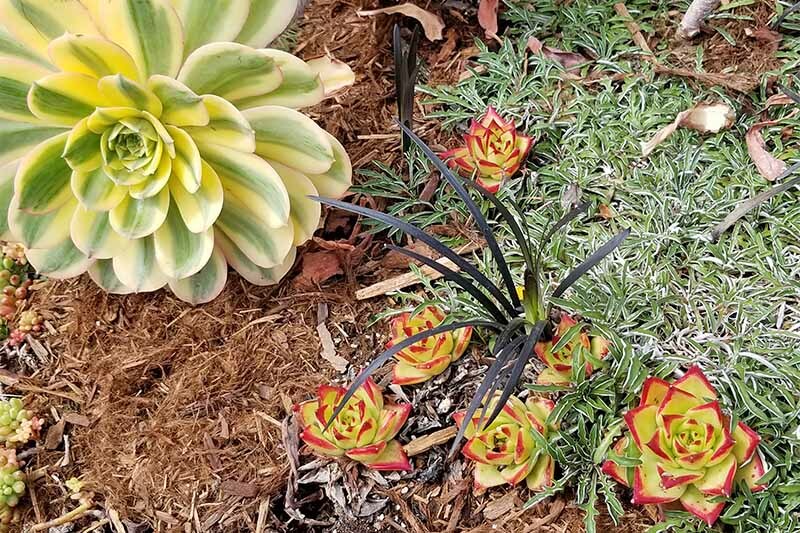 Pair succulents with colorful annuals and perennials. Photo by Allison Sidhu. 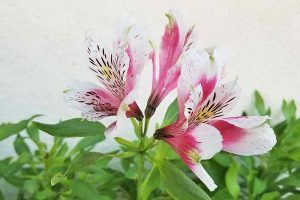 In addition, you can pair these beauties with traditional garden annuals and perennials that also thrive in sunny locations, where the soil is somewhat sandy and drains well. 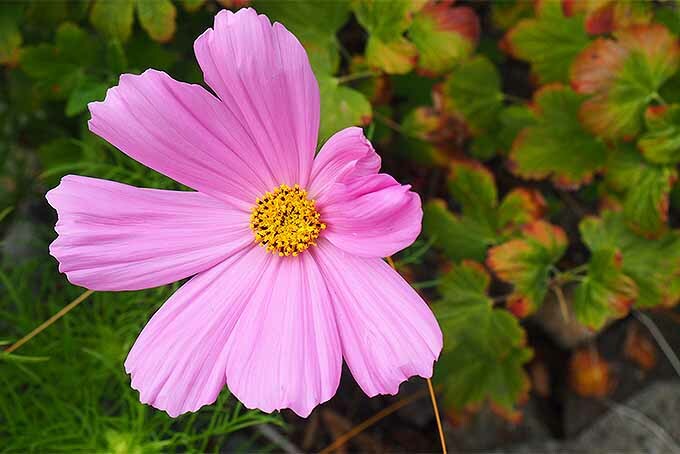 These are just a few of the many suitable options for companion planting that are available. Always research the plants you plan to combine in containers or gardens to make sure their growing requirements are similar, to ensure that they will thrive and achieve the best results. At summer’s end, if you’re located in a cold climate with a threat of frost, you may choose to pot up your plants using a cactus/potting medium and well-draining containers. We like this one from Hoffman, and it’s available on Amazon. Place containers on or near sunny windows, and let the soil dry out completely before watering. Indoor succulents don’t always bloom, but the leaves themselves make for attractive visual interest. A few favorites from the garden, potted for winter. Photo by Allison Sidhu. Indoor light is not as intense as outdoor sunshine. Watch your plants for leggy growth. This may indicate that they are stretching to reach daylight. If this is the case, consider supplementing with a grow light. For plants that remain indoors year-round, unpot and examine the roots each spring. 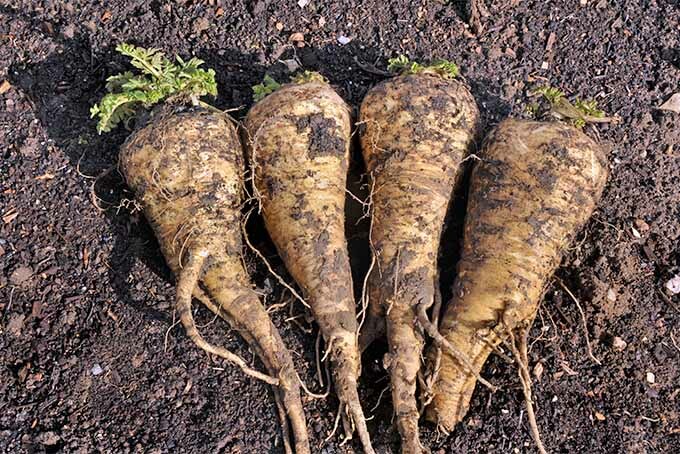 While most varieties are rather shallow-rooted, you may need to repot if they become tightly wound. A shaded winter planter acclimates to summer sun. Photo by Allison Sidhu. 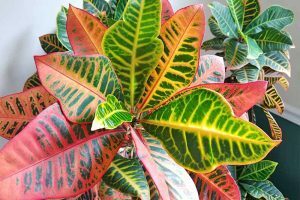 You may place houseplants outside for the summer. 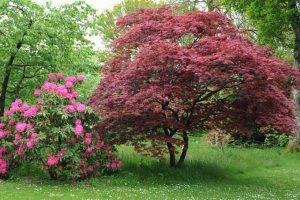 Introduce them gradually early in the season by setting them in an area of partial shade at first, then in full sun or partial shade as appropriate. 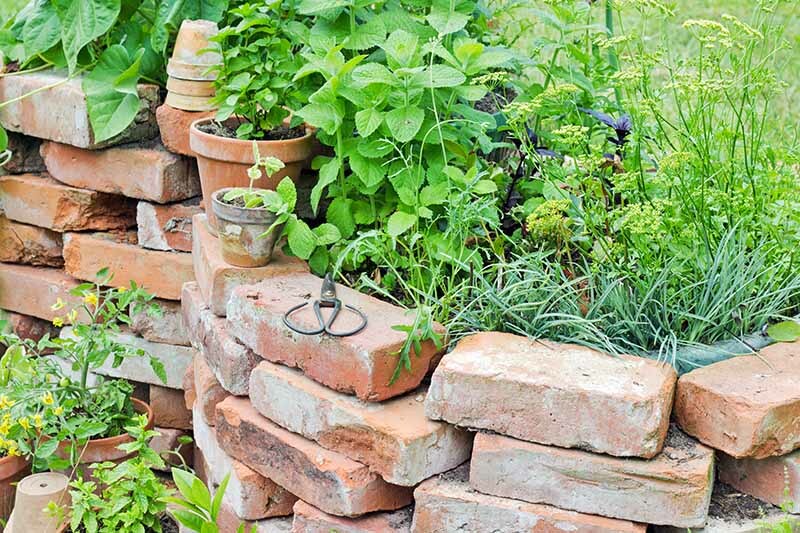 Those that will be returned to your garden beds and planted in the ground may also be introduced to the outdoors a little at a time by placing pots in a partially shaded area, and allowing them to acclimate to outdoor conditions for several days before planting. Unpot and place them in appropriately amended garden soil when the sun is still low on a warm morning, to minimize transition stress. Are you ready to step up your decor with succulents? In minutes, you can have an exotic centerpiece for the table at tonight’s barbecue. What a wonderful conversation starter! 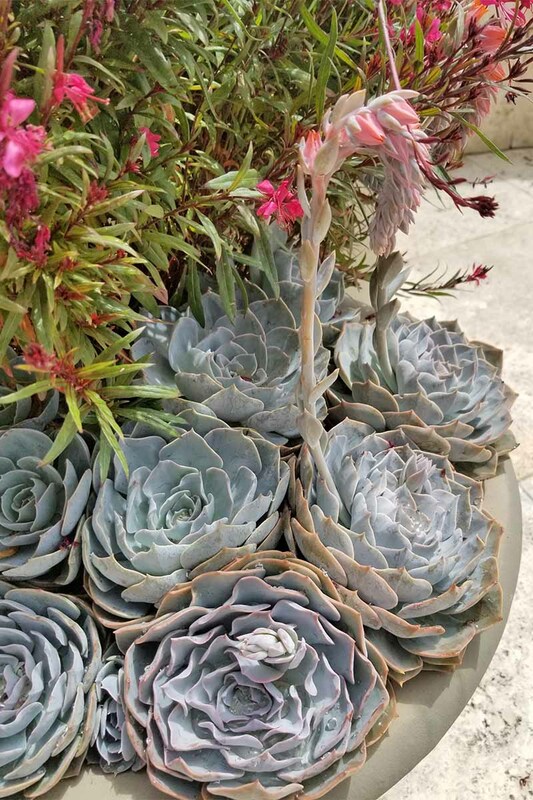 Cultivating succulents in containers or the garden is a fun way to add attractive natural touches to your decor. Photo by Allison Sidhu. Let me tell you, everyone will want some. These geometric wonders are seriously addictive! 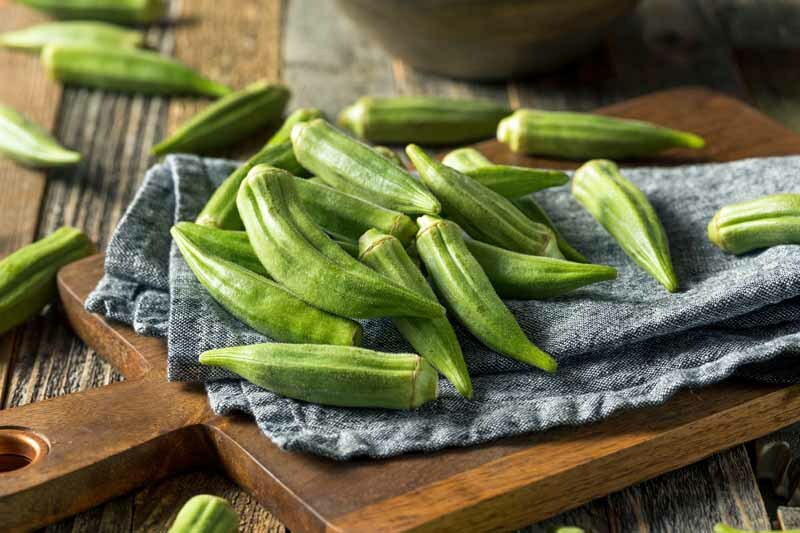 For tips on growing eleven of our favorite varieties, you can check out our top picks here. Feel free to share your questions and tales of your triumphs in the comments section below – we love hearing from you! Photos by Allison Sidhu and Nan Schiller © Ask the Experts, LLC. ALL RIGHTS RESERVED. See our TOS for more details. Product photos via Hoffman and Ankace. Uncredited photos: Shutterstock. With additional writing and editing by Allison Sidhu.